Looking for licensed Child Care? Grey County Children’s Service offers programs, subsidies and information for parents and a range of supports for agencies and child care providers. Fee subsidy is available in either a licensed Home Child Care and /or Child Care Centres programs. The subsidy program is offered to eligible families and caregivers in need to make child care more affordable. Additional information on applying and eligibility criteria for subsidized child care is available in the Fee Subsidy section below. Child Care Programs are managed by Grey County Children’s Service and licensed by the Ministry of Education to ensure programs continue to meet provincial standards. Choose from a variety of child care options available for, eg. home-based, centre-based, school age care and or nursery/preschool care. Access OneList Grey County website anytime, anywhere. EarlyON Child and Family Centres are community hubs where parents, caregivers and children can start marking connections and building relationships that are essential to realizing a child's full potential. EarlyON Centres can helps families and caregivers find programs where they can learn, grow and connect together. Licensed home child care provides families with a variety of childcare options, eg. full/part-time, shift-work, overnight and evening care for up to 6 children. The home child care program strives to offer high quality care, nutritious meals and snacks, and learning opportunities for providers. Grey County Children’s Services is licensed annually by the Ministry of Education to support the home child care program. Grey County Children’s Services carefully screens and selects potential providers. Once their home has been approved, our Home Child Care Workers monitor the homes to ensure the provider continues to meet the standards of the Child Care and Early Years Act, 2014 and Grey County’s policies and procedures. Grey County Children’s Services home child care program is licensed by the Ministry of Education. Grey County home child care providers have an advantage of ongoing support of qualified staff to help provide the highest quality child care program and have training opportunities in child care related topics. Providers are carefully selected and visited regularly to ensure that they meet government standards for quality programs and safety. Home child care providers are self-employed contracted to Grey County Children’s Services to provide child care in your own home.  By agreeing to become a home child care provider for the County of Grey, you will be required to adhere to the policies and procedure approved by Grey County Children’s Services and requirements of the Child Care and Early Years Act, 2014. To qualify for fee subsidy you must demonstrate a financial need and a reason for child care. Families must have an up-to-date copy of the Notice of Assessment or Canada Child Benefit Notice. An income test application will be completed by a Children's Services Worker using a copy of your tax information (line 236) and signing the Fee Subsidy Agreement. The application will determine your portion of child care cost. Please be advised that your eligibility for child care fee subsidy must be confirmed by the Children's Services Worker prior to your child starting care. Should you choose to start your child prior to approval for child care fee subsidy being issued, you will be responsible for full fees during that time. It is your responsibility to immediately advise your Children’s Services Worker if there are any changes in your situation to continue receiving fee subsidy. You must be a resident of Grey County. You and your spouse/partner (if applicable) must file an income tax return every year to continue being eligible for subsidy. The most current income tax information is required to maintain your subsidy. Parent(s) must be working, attending school, training or skill upgrading courses. If parents are attending school, a course schedule is required to verify the approved days of care. Written referrals from Public Health, Keystone Child, Youth & Family Services, Bruce Grey Child and Family Services to support why this service is required. At least once a year you will be required to meet with a Children’s Services Worker to update your file with current information and signatures. Your file must be kept up-to-date to be eligible for subsidy. It is important you respond to all correspondence and other request. To book an appointment with one of our Children’s Services Workers, please call 376-7324 ext. 1363. If you are in receipt of Ontario Works and have children under the age of 12 years, Ontario Works may be able to assist with your child care expenses. It is very important to discuss with your caseworker the type of care which is best for you and your child, as well as how Ontario Works can assist with this expense to help support you in your plan towards independence. Formal - is provided by a child care facility or a home child care provider licensed under the Child Care and Early Years Act, 2014. There is no maximum cost which may be provided. Informal - is provided by a person who is not licensed (ie. a relative, neighbour, etc). The maximum amount of the childcare deduction is the actual amount paid up to $600.00 per month for each dependent child. Contact your Ontario Works caseworker if you have any questions or concerns regarding your child care needs. Provides counseling services to children and their families. Services provided include information, and/or consultation re: parenting, growth, and development, healthy lifestyles and environments. Healthy Babies/Healthy Children, Early Identification program. Community based organization that includes information, referrals and support groups. Bruce Grey Child & Family Services is a team of child protection workers, child and youth workers, lawyers, support and administrative staff working together and in partnership with the community to help families to keep children safe and well. The EarlyON Child and Family Centres are where parents with young children 0-6 years of age can take part in programs and activities together. The Centre provides interactive early learning, literacy and school readiness activities. They also help parents link with organizations that provide other services such as child care services, health services and recreation programs.